It’s Autumn. The half term holidays stretch ahead of you. Then everyone is sick; they drop like flies around you until you, Mama are the last one standing. It was a pretty rubbish holiday with everyone sick at some point. So to cheer us up we went to discover a bit more of our fair region, the fine city of Norwich does not have a zoo to my knowledge (please correct me if I’m wrong) so we headed out to Banham Zoo in the beautiful fields of Banham. It is a lovely country drive from the A11 too. 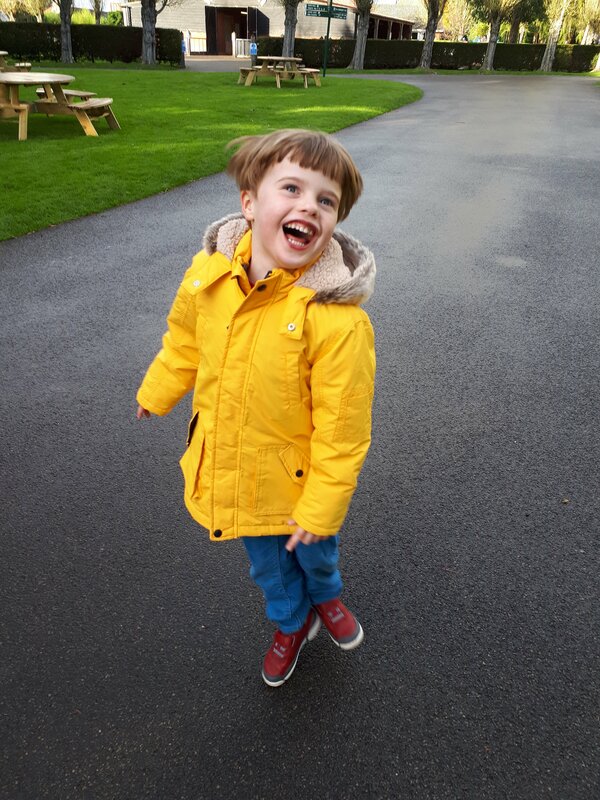 It is open all year around and we visited on the last Sunday of half term. They had a kids for half price offer on for the holidays; you could download the voucher on your phone and they scan the barcode; nice and easy. It was also Lemur love week and I love Lemurs. They are hands down my favourite animals. It was blissfully quiet. At one point we were the only people there. We rode the landtrain around the zoo (it is free), we got to pet alk the animals in the Farm barn. 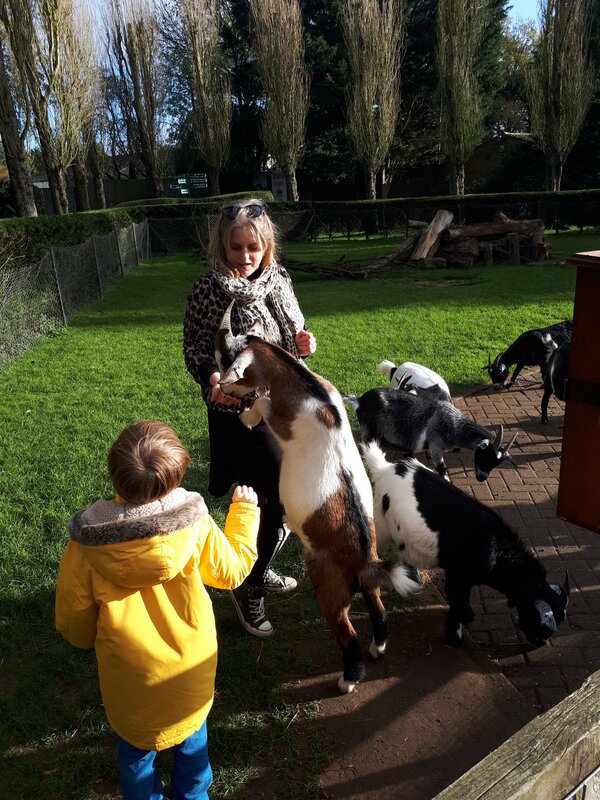 The goats were fantastic and T was brave enough to stroke one or three. G loved the rats, she had a great nap while T and I enjoyed the Amazing animals show. We got to meet different birds and animals close up; T said this was the best. That was until we went through the Lemur walkthrough. I love Lemurs but whenever we have visited they are either sunbathing or hiding. Not today. They were generally sat on posts catching whatever Autumn sunshine they could get. The lovely volunteer told us that the Ringed Lemurs have been split up by the Red Lemurs so they were all a bit cross with each other. 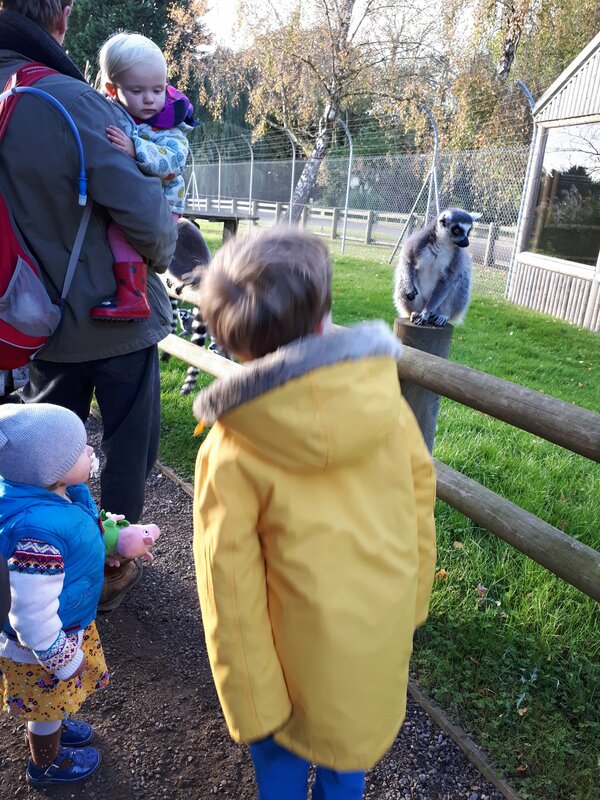 The Ringed Lemurs decided to enjoy our visit by hanging off rucksacks and following us around the walkway and running at the Red Lemurs. There was lots of screeching and thankfully no stinkbombs from either side. Check the website or FaceBook for offers or vouchers to get money off. Under 3s were free and we got T’s ticket half price. You can order your tickets online and save a percentage, must be done in advance. 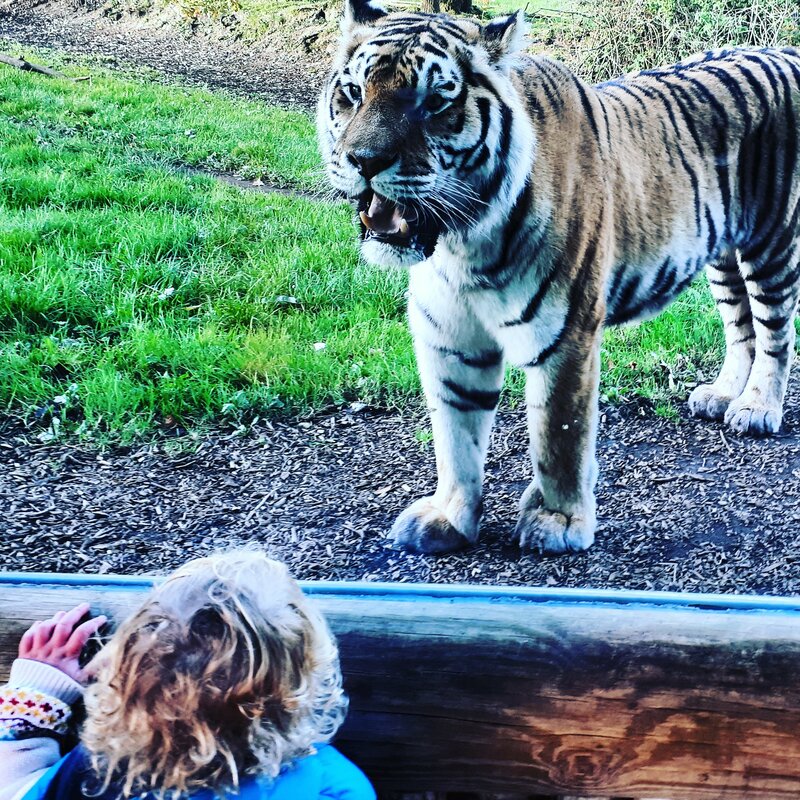 If you love it and think you will visit again then see if the zoo does a pass and will take your days entry cost off. 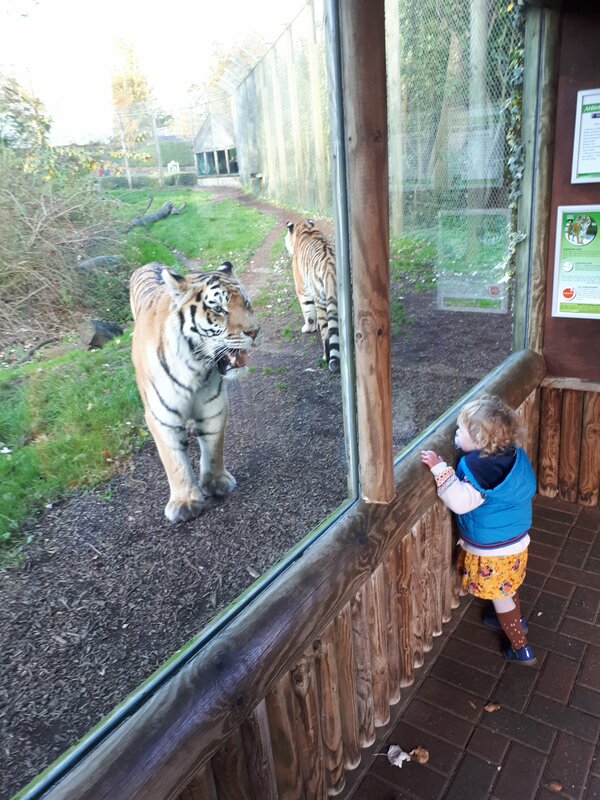 The Zoo at Banham, we visited apparently does a Winter pass which is discounted. Take your own food; we took snacks and sandwiches. The food previously has been ok but expensive for what it was so we bought lunch. We enjoyed hot drinks at the caféteria in the afternoon. No queues due to the time of year. Go to as many of the animal talks and shows as possible. It is expensive to visit so get in as much as possible. My kids love the feeding talks and Bird of Prey flying shows so were happy enough. We also did the medal challenge to stamp our sheet. This gets you going over the whole zoo’s park and you get a plastic medal to add to your collection. Check where you can duck in should it rain. We had a brief heavy rainshower. Banham Zoo has a soft play area in the education centre (it’s where the Tarantulas are kept). No one was in it so when the rain started; we seized the 20 minutes to enjoy soft play on our own.